I just woke up on Galungan morning here in Bali. It is one of the most sacred holidays on this island. For the next ten days, there will be celebrations, offerings, mythical creatures dancing through the streets. The temple that I can see from my window is decorated in the finest of silks and linens, and the streets are lined with beautifully decorated bamboo poles that reach toward the heavens. According to the Balinese Hindu tradition, for the ten days between Galungan and Kuningan, the spirits of deceased ancestors return to the family temple. There these ancestors are treated to sweet offerings of cakes and fruit. This is a time for honoring the past and acknowledging it is very much present in our lives. Mingled with my awe for this quiet peaceful morning, I have feelings of anger and fear from an experience two Galungans ago. It was on that Galungan morning at 4am that I awoke and walked into my living room. In my living room were two men wearing masks. Each held a knife and a flashlight as they rummaged through our things. When they saw me, they immediately assumed a fighting stance and started menacing me with their knives. There I was, in my underwear, with two masked men pointing knives at me. Strangely, I felt the most amazing sense of calm. I calmly told them to leave. They saw that I wasn’t threatening them and their aggressiveness dissipated. They were slightly disarmed. They certainly weren’t prepared for what happened next: my wife Lindsey came racing down the stairs, screaming at them, and casting them out of house. There was no calm in her. There was fierce rage. The mama bear had been awoken. The men fled out the kitchen door, bounded over the wall in our garden, and disappeared into the dark rice field. They took an iPod and some cash. They left us with memories that linger like ghosts. I’m left wondering how I could have handled the situation better. I’m left wondering why it was my wife who got them to leave and not me. I’m left wondering if they–or others–will come again. I wake when I hear noises in the night and I am left with these thoughts. 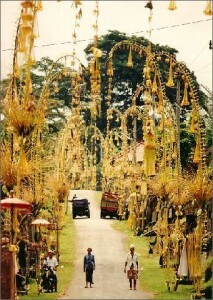 So at this time of Galungan, as the ancestors of the Balinese return to their family temples to be praised with prayers and offerings, the memories of the past come back to me and it occurs to me that this Balinese time for remembrance and celebration is an example of how you can do the work of assimilating the experiences of the past. Coming to terms with what has happened in your life is part of the great work of your life. This is a key to being able to love more fully. How can you come terms with the pains of the past and love more fully? 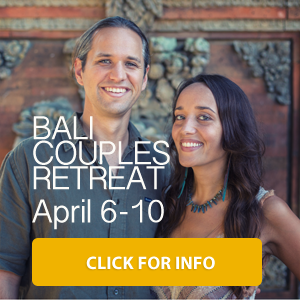 I like the Balinese Galungan approach to this. The Galungan holidays last ten days and the preparations for it go on for days before. They do very little work during this time of celebration and remembrance. This is a holiday that occurs once every 210 days–they don’t wait for a whole solar year to pass. You can set aside time to honor the past as well. Take whatever time you need. It is easy to bury your past beneath a busy schedule. It is easy to claim that you just don’t have time to face what has happened in your life. But being too busy doesn’t bring you the peace that you crave. There is some truth to the saying that time heals all wounds. More accurately: Setting aside time to heal can heal all wounds. Give yourself the gift of that dedicated time. How can you show gratitude to past experiences? I find that a lot of time we look back on the past and we are ashamed of how we acted in a particular situation. We know more now and we look back and wonder why we weren’t able to act differently in that situation. What is hard to remember is that we are who we are because of that experience and because of many other painful experiences. Often you can best show gratitude for the experience by showing love to the younger you–the you who suffered the trauma or experienced the pain. Showing love to your inner child who still feels helpless in the face of abuse can be tremendously healing. During Galungan they fill their temples with cakes and rice as offerings to ancestors. How can you make offerings to the ghosts of your past? This can take many forms. Creative expression and artistic expression are channels for accessing hidden reserves of energy. Allowing emotion to flow through creative expression is a powerful way to release the flow of energy within us. Write a letter to the child within you that was hurt. In my case with the armed burglars in the night, I wrote a poem that allowed me to explore my feelings about it. I wrote the poem on a piece of paper and I burned it early one morning, allowing the flames to devour the paper and the smoke to carry it away. By acknowledging the past and showing love for it, you are able to be more present in this present moment. Psychological energy that has gone into suppressing feelings is freed to be used in love and in fulfilling your purpose. This allows you to love more fully. You are able to love yourself more fully because you are not just loving part of yourself, but all of yourself. This complete love for yourself makes you better able to love others. 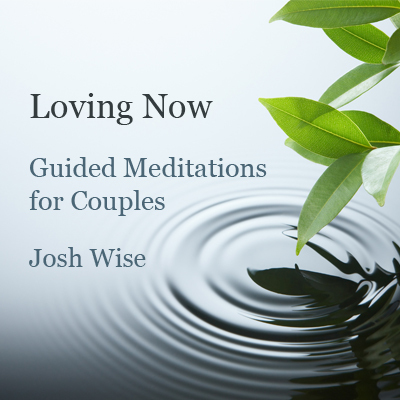 You are then approaching your relationship as a whole person, one who is doing the work of integrating the experiences of the past and learning to love all that has happened throughout this life’s journey.